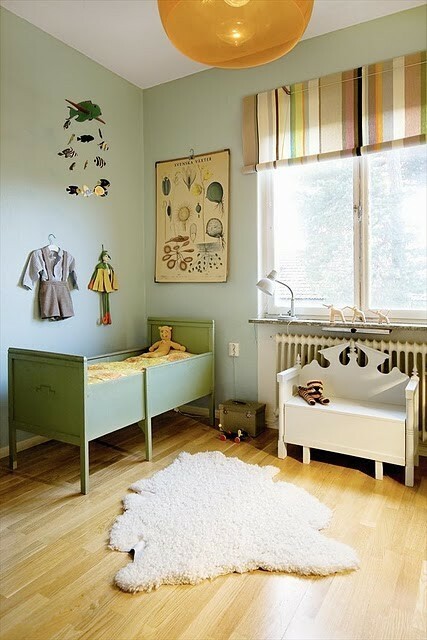 Here are a couple of ideas where the use of subtle tones of olive-green can create an earthy safari feeling in your kids room or your library for that matter. Cute cuddly plush toys such as monkeys, elephants, zebras and or even the rubber or plastic varieties will add to the savanna theme. Ultra trendy in Sweden at the moment are old school anatomy, biology and botany posters. 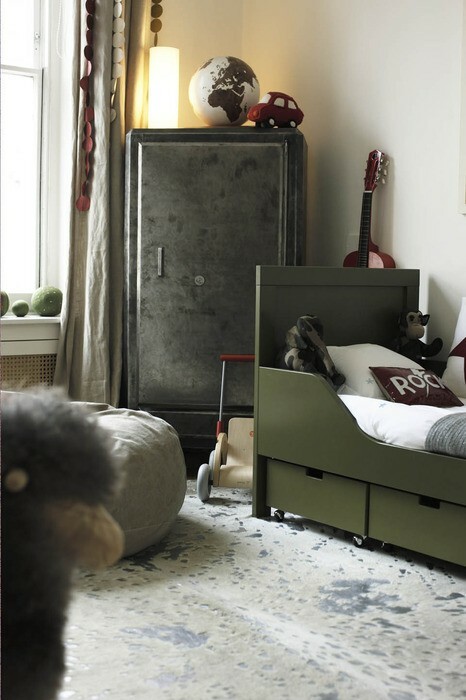 Fluffy rugs such as cow hide or sheep skin will add a more tribal vibe. A golden rule. Keep it scandinavian simplistic! 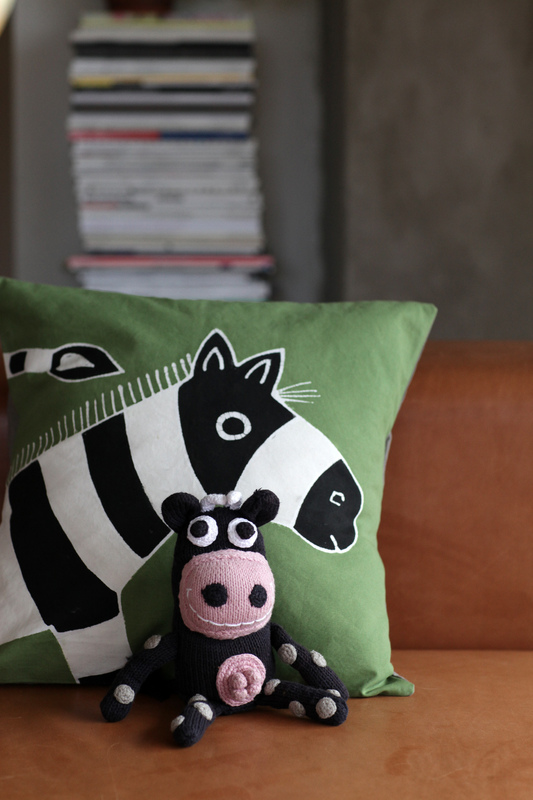 Yawama of Sweden Zebra cushion and our eco-friendly cow would just add to the authenticity of the theme. Maybe the dairy cow is questionable- but after all these are true safari creatures, hand made in Africa. 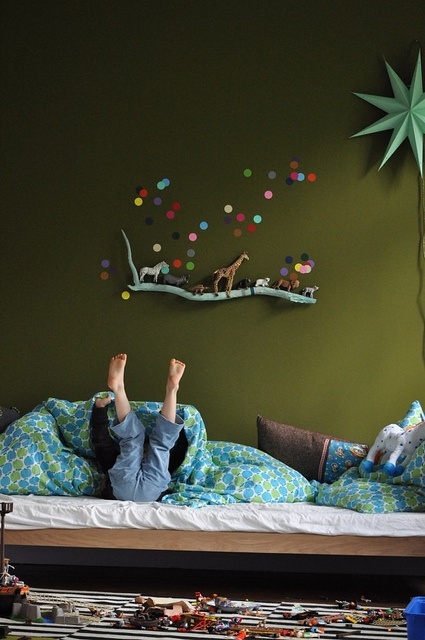 This entry was posted in african products, Scandinavian Interior decor and tagged childrens rooms, kids rooms, olive-green by NICKY. Bookmark the permalink.